After waking up and discovering that even at 10am the temperature had reached 38 degrees we had a slight change of plans and decided to just chill for the morning. Staying in an apartment meant we had the space to relax, we got some washing done and watched some TV. We decided to set off at 1.30pm. 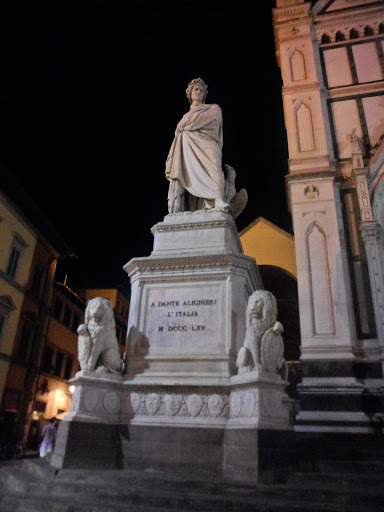 We were doing a tour arranged by Ciao Florence tours. It cost us £50 each, which we booked through Viator. We were meeting by Florence central station at 3pm so we gave ourselves plenty of time to do the walk down. The heat was 45 degrees by the time we left so a slow pace was preferred! It allowed us to duck into a few shops to enjoy the air conditioning and we stopped for a bite to eat at a bakery too. We had some chilled drinks, sandwiches and cannoli. Once we got to the station I had a strawberry granita from one of the stalls outside to cool me down. We met up with our coach and headed to Siena. After such an amazing tour yesterday this one really disappointed. The tour guide was totally uninterested, treating the tour group like we were an annoyance to her. She offered absolutely no information on the coach, we had to basically run after her through to the town of Siena as she basically strolled along like she was on her own, talking on her phone the whole time. She took us to the main square, announced we would have to meet her back there in an hour and half and then walked off again. Not a single bit of information offered. 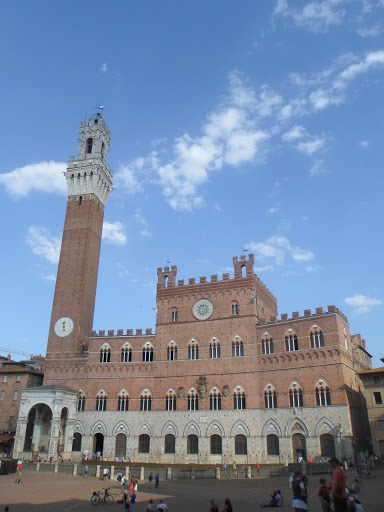 I myself had done no research on Siena as I thought going on a tour meant I wouldn’t have to! We walked around a bit aimlessly. Siena was pretty, it was a medieval type place, with some cute shops. We had a walk around and found a really great shop where the owner offered us oil tastings and I bought some truffle oil for my mum. Afterwards we went back to the main square for a walk around before meeting back up with the group. We discovered later on with disappointment that we had totally missed the duomo, having no clue where it was. We then were on the coach for about 50 minutes on our way to a tuscan vineyard. The drive was just beautiful, there were rows and rows of vines everywhere you looked. I knew I wouldn’t get a good photo from a moving coach which was a shame. 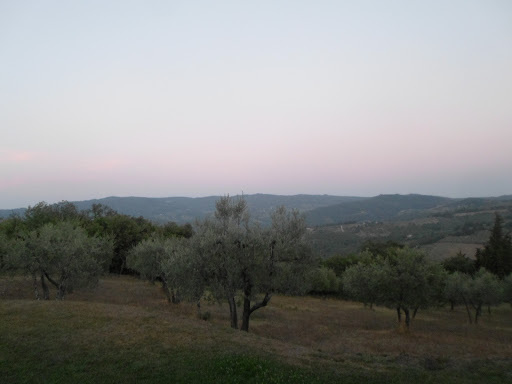 We arrived at our Tuscan Vineyard, the Panzanello vineyard. 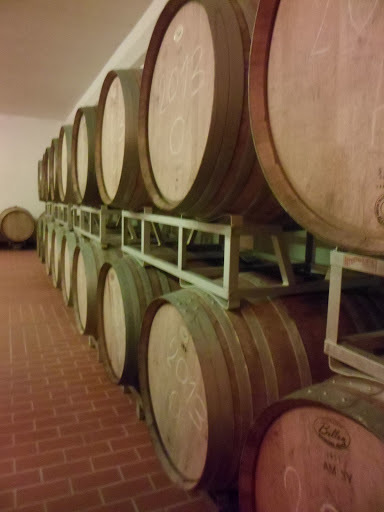 We were introduced to the owner and he gave us a tour of the wine cellars and spoke us through how he produces the wine that he makes on his 300 acre vineyard. It was very impressive and even though I have been on a few vineyard tours in England they were no way near this scale. We then sat down for the meal and this was quite disappointing. Viator sold it as a 4 course meal and even gave a sample menu. The first course was as described, we sat down with some bruschetta which was nice. We all had a glass of wine but I was at the end of the table and had clearly got the end of the bottle and had barely a sip in my glass. Fortunately for me Adam doesn’t drink wine so I got his too. 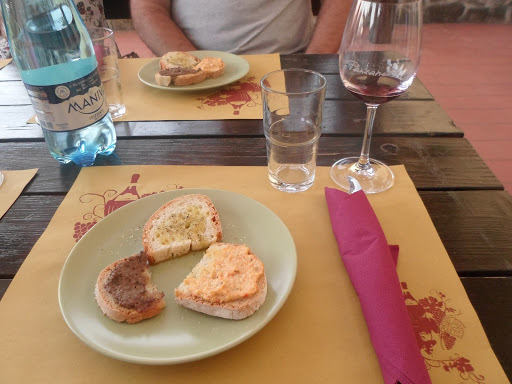 We had 4 glasses of wine each throughout the meal but they were very small glasses, tastings more than actual glasses. Our second course was described on the sample menu as lasagne or an alternative pasta dish but what was actually served was a dish of stale bread with cucumber. I’m not overexaggerating when I say it was stale bread, they even said the bread being stale was part of the ‘local dish’. I hate cucumbers so I didn’t eat it. The 3rd course was as described, braised beef, so I can’t complain about that. I did feel sorry for the 2 girls on our table though, they had specified on the coach that they were vegetarian yet when they arrived they were served meat. They asked for a vegetarian dish and what was bought out to them was 2 slices of cheese for them to share! One of the girls was so hungry she nearly ate the beef, despite having not eaten meat in 12 years, but her sister moaned so she didn’t. Our final course was meant to be a tiramisu, instead we got a shot glass of grappa and a block of chocolate each. That isn’t a dessert. This was not a 4 course meal. It was really disappointing and although I did contact Viator nothing got done about it. I wouldn’t recommend doing this tour at all. The vineyard had a little shop though and I did buy a bottle of wine to put away for my mums birthday. We then got the coach back to Florence. By the time we got back it was 11pm but still 30 degrees. We thought we would take advantage of the reduced heat and foot traffic though and do some sightseeing. 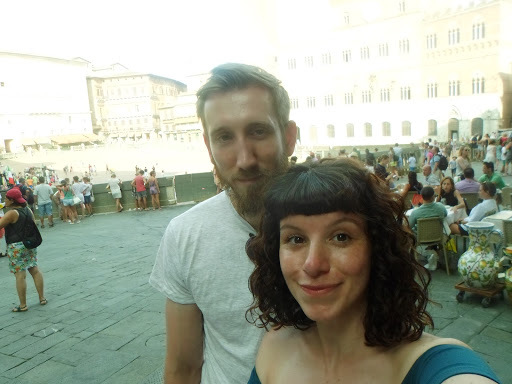 We walked along the river and saw the ponte vecchio bridge and went to a few squares too. There was even dancing and music in front of the Santa Croce, it was a great atmosphere.